As the seasons change, I typically like to upgrade the look of pieces in my wardrobe from previous seasons for re-use. 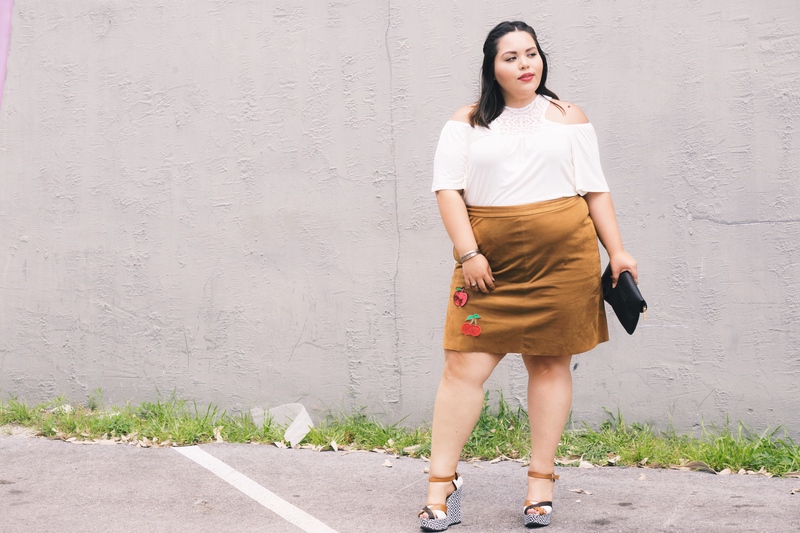 With DIY trends booming this Spring and a little trick, I added cute sequence patches to spruce up this faux suede skirt from October. The kind of dress to conquer this windy month of March is one that’s long enough to avoid flying up but one that also shows off our (much needed tanned) legs. Despite being 4 days shy from the first day of Spring (3/20/17) my mindset is transitioning into the very much awaited new season in subtle floral prints.